Factual KryptoMachine Review – Bitcoin Scam Exposed! Learn why you cannot trust your bitcoins with KryptoMachine by reading our unbiased and honest kryptomachine.com review! Much speculation has been circulating lately about whether or not KryptoMachine is a trustworthy cryptocurrency endeavor. Throughout this factual review we will break down the deceptive elements used to lure investors in and why KryptoMachine should not be considered for those of you who wish to extend the longevity of your Bitcoin wallet. KryptoMachine is a site that relies on the continual investment of bitcoins from the deposit of subsequent investors. Orchestrated with a business model closely resembling a pyramid scheme there can be little wonder as to why this site as started to arouse a great amount of suspicion. As with most pyramid schemes that we come across, you are first required to pay a fee to join their program then you can recruit people through your referral link to “earn” bitcoins. Hosted at kryptomachine.com, this misleading Bitcoin investment is nothing more than a pyramid scheme. Furthermore, as we will cover in more detail below, it appears that the site hasn’t fulfilled their end of the bargain by paying their referred traffic. Claiming that for each user invited they will dish out $11.65 worth of bitcoins in payment, but as you can imagine no one is actually receiving their earned payments. So ultimately what we are confronted with would be a Bitcoin pyramid scheme that is operated by complete crooks! 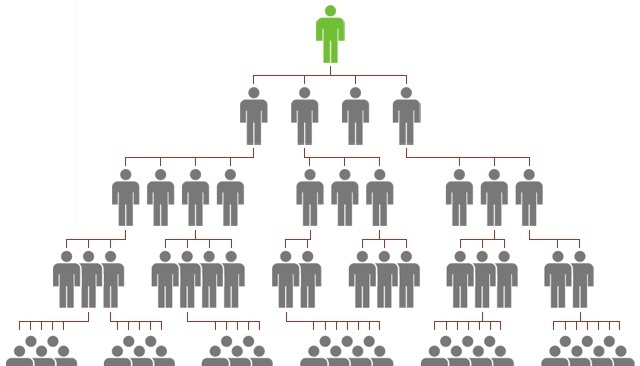 One reason why pyramid schemes are so effective at attracting potential members would be because how straightforward they appear to operate. There usually is nothing fancy about the operation in question, all you need to do is dish out some cash beforehand then recruit 3 to 5 people where they will then recruit 3 to 5 more people and so on and so on. KryptoMachine works with the same principle in mind, pay a fee to become a member and recruit more people that way you all believe you are earning extra income by simply having recruited members pay to a small fee to join. In order to work with KryptoMachine, users must first submit their Bitcoin wallet address to the site. On the site it states that, “We only need your wallet address to track the invites and send your earnings!” However, as most of you can put together, this is a simply ploy to earn your trust. The second step that occurs would be that after you submit your Bitcoin wallet address you will be assigned a personal referral link. This referral link is what you need to utilize when recruiting new members to join so that way you can “earn” bitcoins for each successfully referred member. The last step, which is the step that never appears to function properly, would be that you need to withdrawal your Bitcoin earnings. However, our research has shown that members who have referred traffic to the site aren’t receiving any of their earnings when filing for a withdrawal. Does the website promise promise unrealistic returns? Unfortunately, the site doesn’t promise any outlandish or too-good-to-be-true promises which is a considerable reason why this pyramid scheme has flown under the radar. Claiming to offer just under $12 in bitcoins for each referred user is nothing far-fetched or an incentive that would likely arouse suspicion. “This section is currently unavailable due to high amount of requests. It should be available again shortly…” This is what you are confronted with when you visit the Contact page of kryptomachine.com. No information regarding the owners is provided on the site leaving KryptoMachine to be the perfect anonymous service that can close shop and move onward to their next scam whenever most convenient for them. According to WHO.IS, kryptomachine.com was created on August 30th, 2017. The report will also reveals that the creators behind this deceptive cryptocurrency scam employed an privacy hosting package allowing the owners and the company behind this site to remain anonymous. There are no means of contacting the owners of the site. No email address, telephone number or head of office address are provided on the site. This lack of identifying information is quite common among scam sites and should be a red flag indicating that the site cannot be trusted. At the time of posting this review, kryptomachine.com’s global SimilarWeb rank was 52,145. Much of the traffic originates from users residing within Russia, Brazil and Ukraine, although it also gets traffic from the US and Venezuela. Furthermore, it appears that a considerable portion of the traffic (more than 30%) derives from referral traffic generated by social media channels such as Facebook and email marketing campaigns. Other forms of traffic are directed from a wide number of controversy reviews that can be seen through Google and YouTube. Most of these untrustworthy reviews include referral links from affiliates of KryptoMachine and are created with the sole intention of misleading investors out of their bitcoins. A quick search query of “kryptoMachine scam review” on any reputable search engine will reveal the true nature of this cryptocurrency scam. Among the chief complaint in regards to this site would be how the operators behind this scam are unwilling to execute withdrawal requests. Further feedback suggests that the site cannot be trusted and that it incorporates fake social media comments in a lure to gain your trust. KryptoMachine is nothing more than a fraudulent and misleading Bitcoin pyramid scheme. Employing a privacy blocker along with not providing any relevant information regarding the owners or company behind this site allows these crooks to remain anonymous and in operation as long as possible. Don’t allow yourself to fall victim to shady investment operations that won’t reveal any identifying information about themselves, it is clear that they cannot be trusted. Do yourself a courtesy by avoiding this pyramid scheme and visit our Day Trading Guide to learn about more legitimate and tested cryptocurrency paths to consider. Verdict: KryptoMachine is a SCAM! Have you been scammed by KryptoMachine? Share your feedback and experience below by commenting below! What do they want to achieve by collecting people’s bitcoin wallet addresses? Your link leads to Chain.Group, a verified scam. It was removed, obviously.